Will Lenovo's Z5 be the one to end notches? Rumblings have made their way around the internet over the last week surrounding the announcement of Lenovo's all-screen, notch-free Z5 smartphone, and while a June 14 launch was rumored, we now have an official reveal date: June 5, 2018. Lenovo vice president Chan Cheng made the device's reveal date official by posting the smartphone’s launch invite on the company's Weibo page. As of now, there are just two pictures that give us a hint at the phone's tantalizing design – each one showing an edge-to-edge display with no controversial notch in sight, which goes a long way to backing up previous rumors about the flagship device. 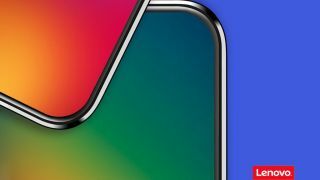 Though little about the device has been confirmed at this point, an image doing the rounds on social media suggests that the Lenovo Z5 would boast a 95% screen-to-body ratio (presumably due to a slight chin). However, there's still some mystery surrounding the placement of its front-facing camera, sensors and earpiece. Another interesting revelation from the VP mentions a whopping 4TB of onboard storage, which would definitely set a smartphone storage record if true. Going by the watermark on recently shared camera samples by Cheng, it’s quite evident that the phone will have a dual camera and will feature portrait mode. Moreover, a huge battery is expected on the phone as Cheng has mentioned a 45-days standby time on single charge. Of all the commercially sold bezel-less phones, the original Mi Mix is still the benchmark when it comes to having a truly edge-to-edge display. Whether Lenovo's Z5 will have what it takes to top that trend-setting design is anybody's guess.